For those looking to celebrate the New Year with the whole family, and also enjoy a fireworks show, the annual New Year's Eve festival in Alexandria could do the trick. WASHINGTON — Packed bars and fancy restaurants aren’t the only places to ring in the New Year. 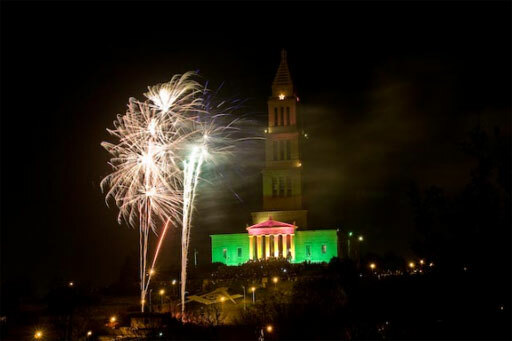 For those looking to celebrate with the whole family, and also enjoy a fireworks show, the annual New Year’s Eve festival in Alexandria, Virginia could do the trick. First Night Alexandria, held on Monday, Dec. 31, is the largest family-friendly and alcohol-free New Year’s Eve party in the region. 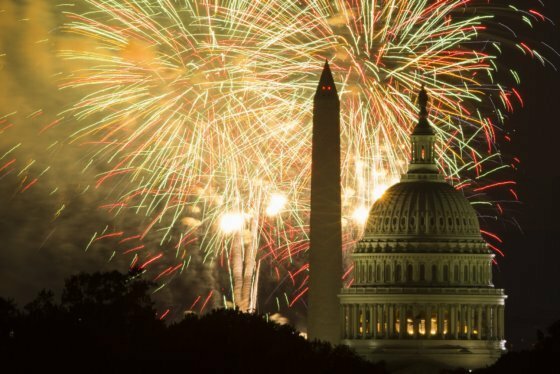 It also boasts the only fireworks display in the D.C. area, which will light up the sky over the Potomac River at midnight. This year’s bash — presented by the City of Alexandria, Dominion Energy, MGM National Harbor and Virginia Paving Co. — will include more than 100 performances at 25 warm, indoor venues. The event will begin at 2 p.m., with entertainment kicking off at 7 p.m.. The fireworks show will close out the night. New this year is the Kids Karnival, which has three kids’ countdown locations throughout Alexandria: the Charles Houston Recreation Center in Old Town, the Mount Vernon Recreation Center in Del Ray and the William Ramsay Recreation Center in the West End. Families with children 12 and younger can enjoy face painting, carnival-style games, dancing, as well as an earlier-than-normal countdown to the new year. Fredericksburg Downtown 31 family fun night. From fancy to family-friendly to frill-less, here are some options all around the D.C. area to ring in 2019.